ToughMet 3 Alloy is the solution to your severe material obstacles. By utilizing our technology process to produce the microstructure, tailored alloying additions and spinodal hardening technology, we have engineered ToughMet 3 Alloy to provide properties beyond those typically discovered in a high-strength copper alloy. ToughMet 3 Alloy in the cast and spinodally hardened (CX) condition exhibits tensile strength up to 120 ksi and hardness up to HRC 34 in a Copper - 15% Nickel - 8% Tin alloy with excellent machinability. Available in UNS C72900 Round Bar, Toughmet 3 C72900 Round Bar, C72900 Toughmet 3 Rods, C72900 Toughmet 3 Forged Bars & Toughmet 3 Hot Rolled Bars. 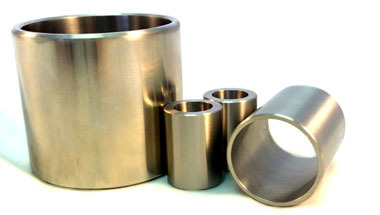 ToughMet 3 AT alloy is used for bushings and bearings for commercial aircraft, high performance engines as well as mining, industrial and heavy equipment. It is also used to make oil and gas drilling hardware. To get in touch with us, contact us right now. Our sales personnel are always available for providing their services. Place your order right now! Peru, Democratic Republic of the Congo, London, Saudi Arabia, Argentina, Algeria, Dubai, Canada, Ethiopa, Africa, Israel, Mexico, Sudan, Thailand (Bangkok), Iran, Bahrain, Australia, Tunisia, Egypt, Brazil, Nigeria, UAE, Iraq, Colombia, UK, Turkey, Ghana, Russia, Italy, Uganda, Sri Lanka, Cameroon, Mozambique, United States, Trinidad and Tobago, Indonesia, Azerbaijan, Venezuela, New Zealand, Angola, Germany, South Africa, Kuwait, Houston, Chine, Malaysia, Vietnam, Morocco, Kazakhstan, Jordan. Dammam, Istanbul, Cape Town, Antananarivo, Dubai, Dar es Salaam, Ouagadougou, Durban, Port Elizabeth, Kaduna, Nairobi, Zaria, Tripoli, Manama, Jerusalem, Colombo, Kampala, New York, Casablanca, Maiduguri, Lubumbashi, Tel Aviv, Data from the UN, Addis Ababa, Hong Kong, Singapore, Mecca, Rabat, Muscat, Lusaka, Port Harcourt, Amman, Bulawayo, Johannesburg, Tehran, Dakar, Alexandria, Ibadan, Bamako, Abidjan, Aqaba, Brazzaville, Kano, Jeddah, Fez, Benin, Soweto, Luanda, Algiers, Mbuji-Mayi, Kolwezi, Yaoundé, Douala, Pretoria, Omdurman, Cairo, Sharm el-Sheikh, Kinshasa, Accra, Giza, Lagos, Abu Dhabi, Beirut, Subra al-Haymah, Maputo, Freetown, Conakry, Doha, Bethlehem, Cairo, Byblos, Harare, Riyadh, Khartoum, Mogadishu.